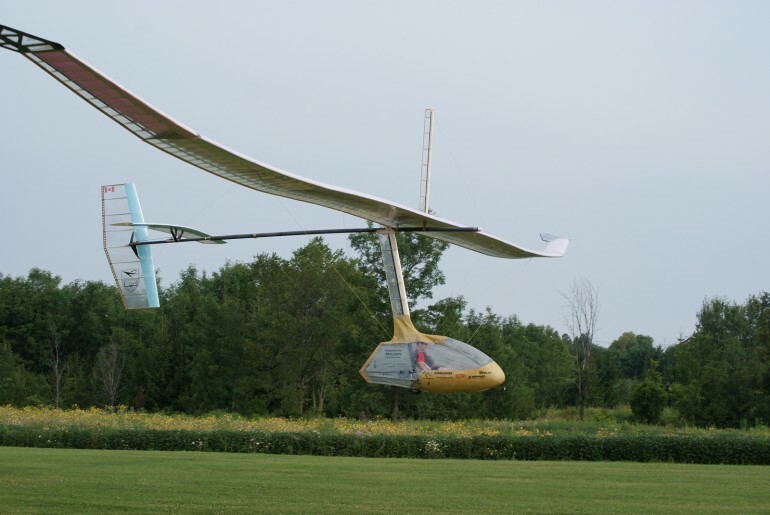 A University of Toronto student has succeeded where Leonardo Da Vinci had failed, completing the first continuous flight of the human-powered aircraft known as an ornithopter. Todd Reichert , a PhD student at the U of T Institute for Aerospace Studies at the University of Toronto, succeeded in piloting the aircraft, which flies by flapping its wings like a bird. The concept was conceived back in 1485 by legendary inventor Leonardo Da Vinci who sketched flying machines but never actually made one. Reichert’s craft, named the Snowbird, is similar to Da Vinci’s designs and weighs just under 43 kilograms with a wing span of 32 meters. Made of carbon fiber, foam and balsa wood, the entire weight of the craft is equal to the all the pillows on a commercial jet. It took Reichert and his colleague, Cameron Robertson, over four years to make the aircraft, which cost over $200,000. It works by pumping a set of pedals attached to pulleys and lines that bring down the wings in an elegant flapping motion, a feat that requires both engineering and physical prowess. During the flight, a representative from the Fédération Aéronautique Internationale, the world body governing aeronautical records, was present to witness the event. Due to its milestone achievement, there is talk of the Snowbird being donated to the Canada Aviation and Space Museum in Ottawa. A video of the flight can be viewed here. I was looking for a gain of altitude after the pulling cable was released but it seemed to level off and quickly go into a downward slope. Perhaps a couple more months of exercise on the leg press machine coupled with a muscle building diet and supplements like whey and creatine, would make for a slight increase in altitude. I'm skeptical. It doesn't seem to gain altitude. 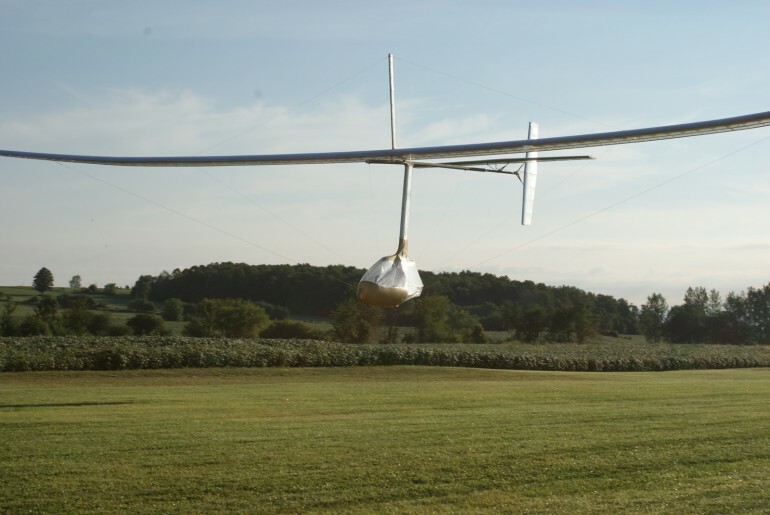 Just a very long distance glider after it is pulled aloft by a vehicle which also provides the energy to keep gliding forward for a very long distance.